LOOK AT THESE MILES HERE . . . . A LOADED UP OLD SCHOOL PONTIAC BONNIEVILLE SE . 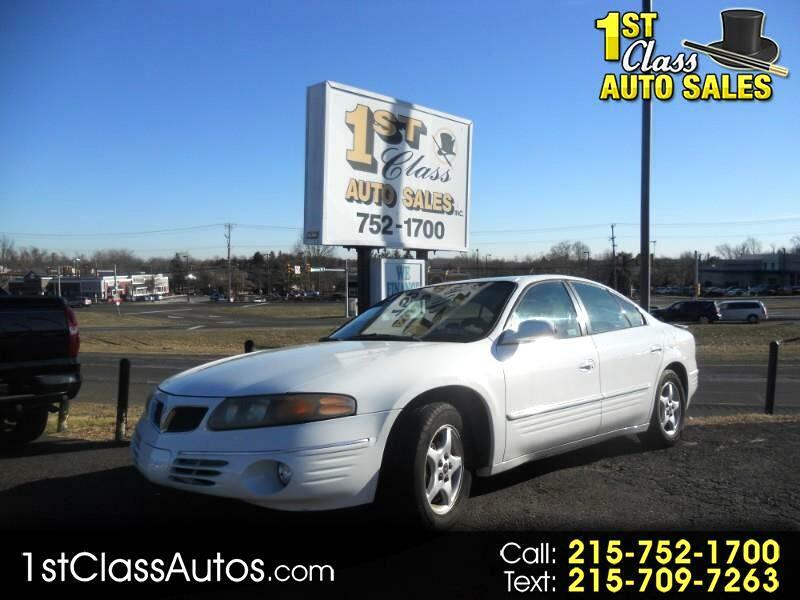 . . WITH POWER WINDOWS / / / MAG WHEELS / / / CD PLAYER / / / WITH CRAZY LOW MILES AND THE DURABLE 3.8L ENGINE THIS IS CERTAINLY ONE TO LOOK AT IF YOUR LOOKING FOR A LOT OF CAR FOR THE $$$$ COME IN AND TAKE IT FOR A RIDE . . . WITH NEW PA INSPECTION AND A FREE WARRANTY YOU CAN'T GO WRONG !!! Message: Thought you might be interested in this 2000 Pontiac Bonneville.